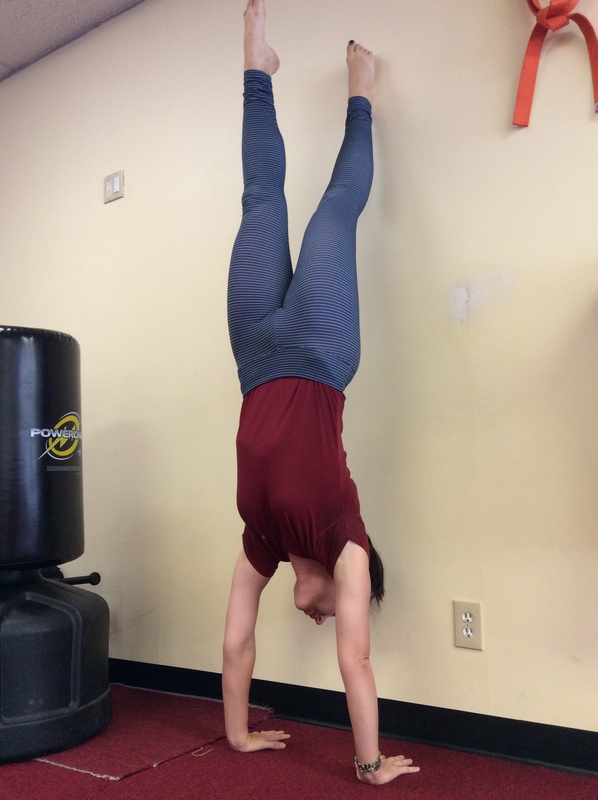 I really connected with one practice that leads to a strong confident handstand. It is put out by Brian Aganad who writes, The Asana Academy, and has an amazing podcast. Really check him out if this is something you are working towards. 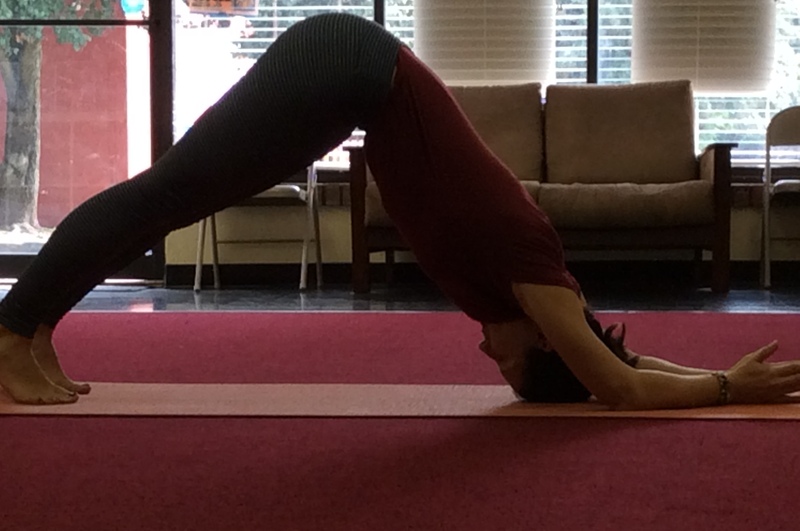 So I’ve been working on the prep poses and exercises for a bit but a turning point happened for me just last week. 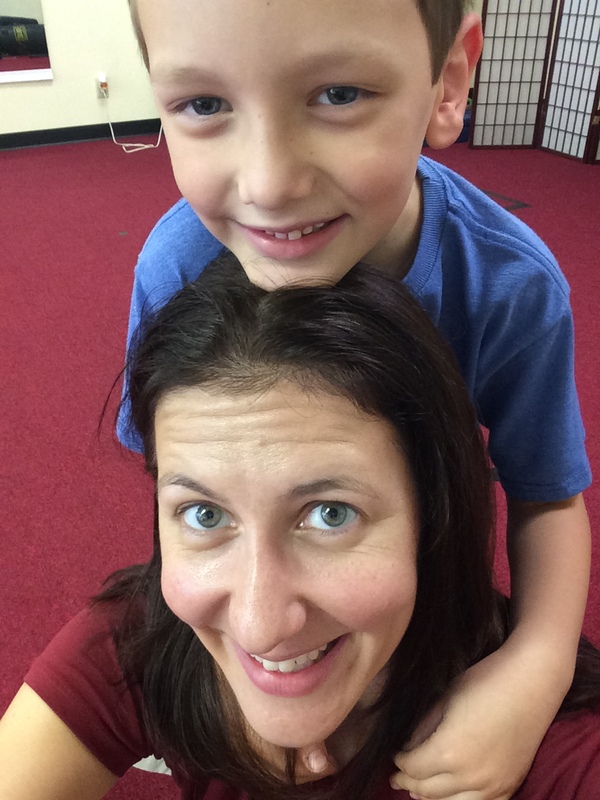 My 6 year old son was on school break and he came to the studio with me for class and we got to play around and practice after. 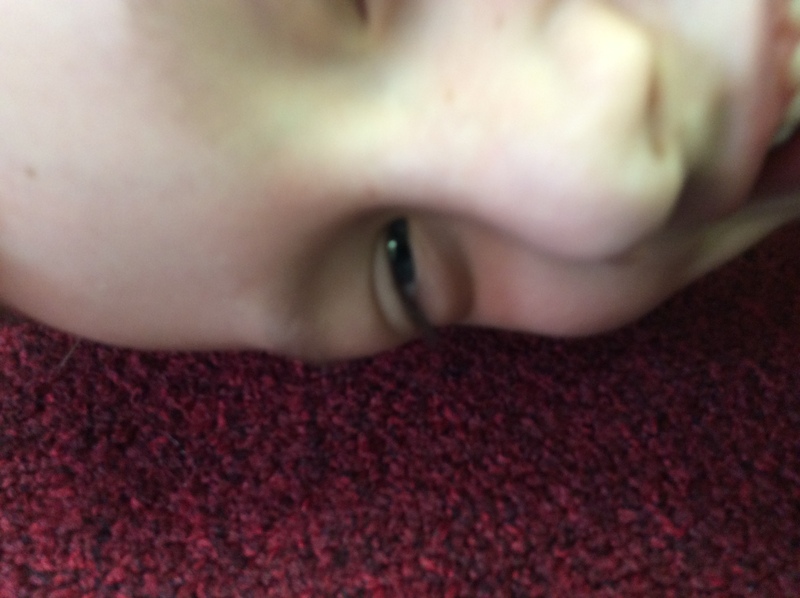 We had the Ipad and he wanted to take photos. He literally took about 300 but what I got out of it was just as immense. It was right there in front of me. Little adjustments I needed to make the poses and exercises feel better, things I wasn’t able to feel in my body were right there for my eyes. I adjusted, he took more photos, and I could FEEL what proper alignment FELT LIKE and go from there. 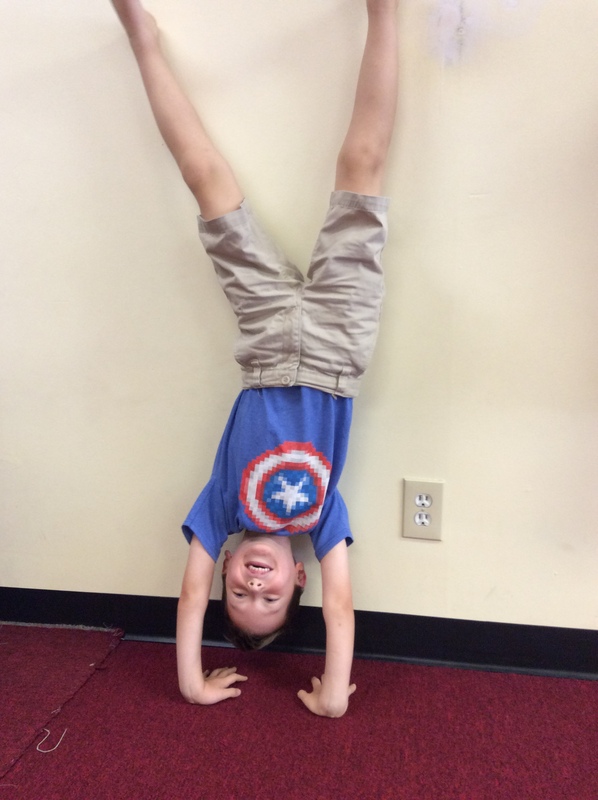 It was a huge AH-HA moment and I had A LOT of fun with my kiddo in the process. Here was our session. 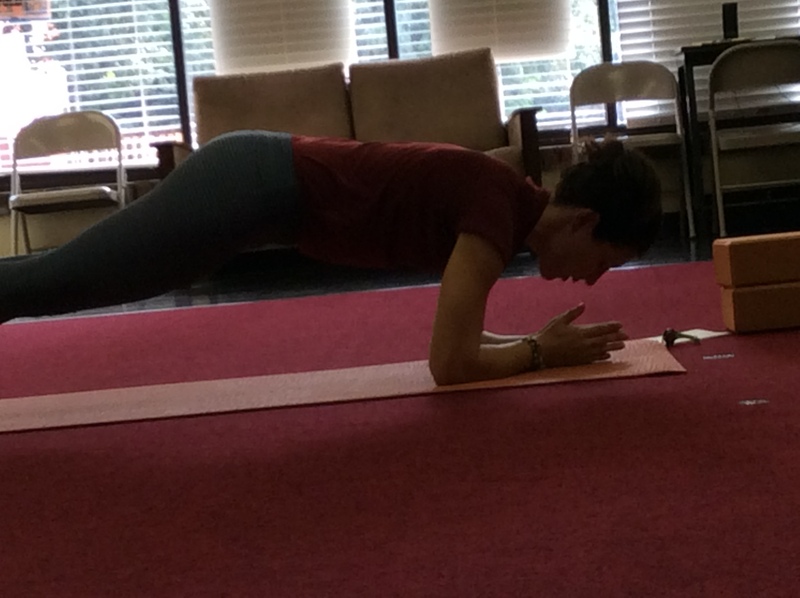 I started with holding plank, then plank with block between thighs, a minute each. It doesn’t have to be a long practice just a powerful one. 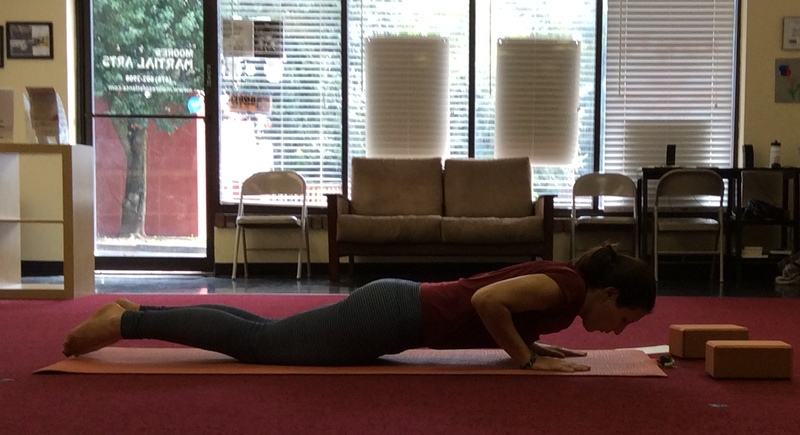 Then these Chaturanga Dandasana up-pulses for lack of a better name. 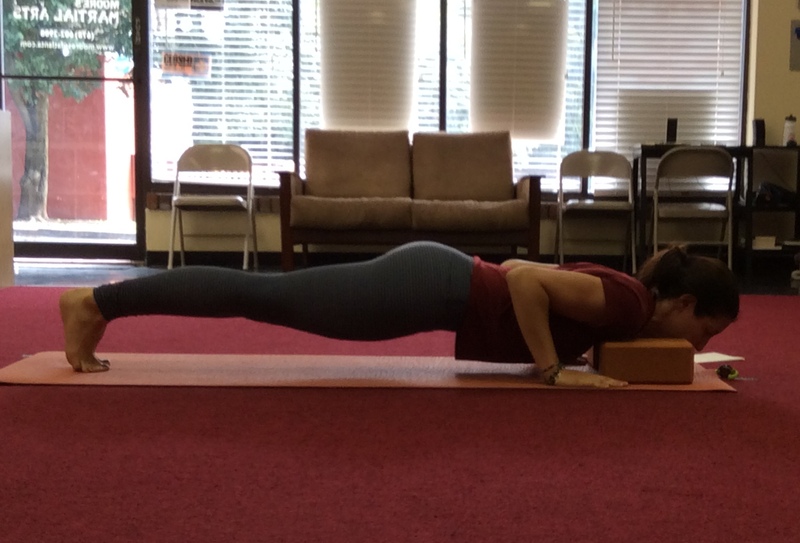 You come down into Chaturanga Dandasana with blocks under the shoulders. Then you lift up just a bit, using triceps, IT CAN BE INTENSE, then lower onto the blocks and again! 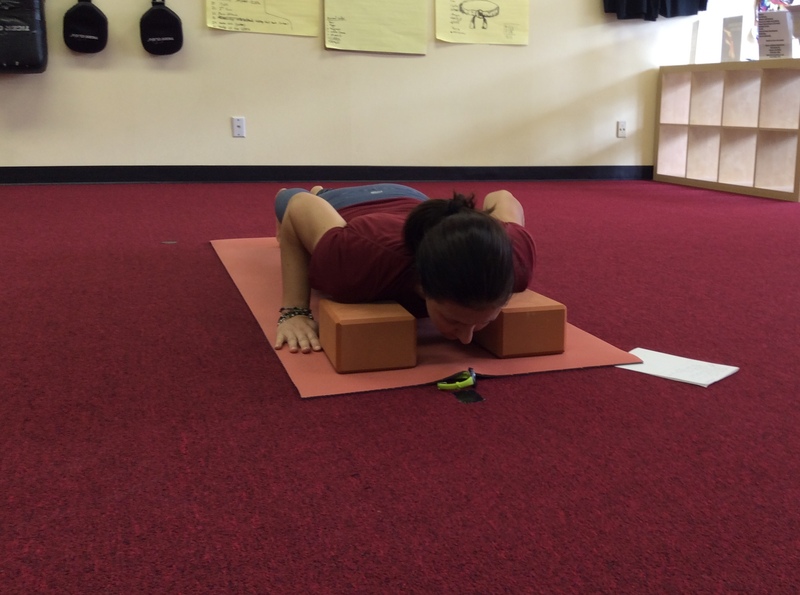 Next is Knee Down Chaturanga Dandasana for form. 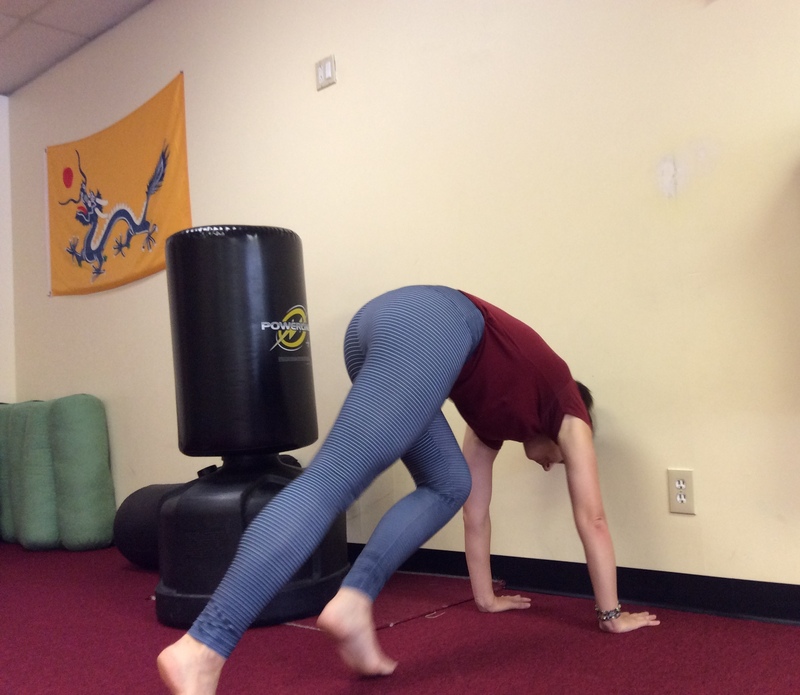 Sometimes in flow classes we move through movements so fast and so methodically we loose form or at least are not aware of it anymore. These really help you be mindful and create muscle memory so when you are in a fast flowing Vinyasa class you are more likely to keep your form and alignment. I really like these. 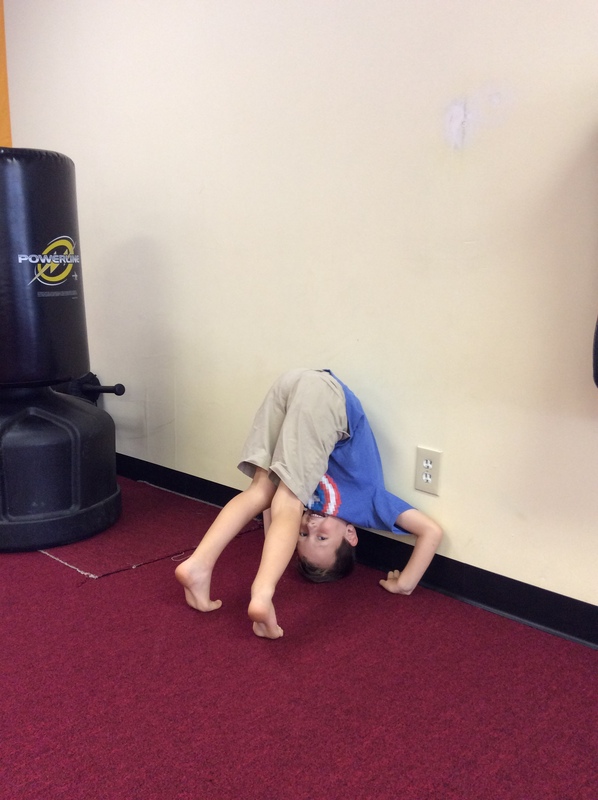 Next are Dolphin push-ups or push-forwards depending how you want to look at them. 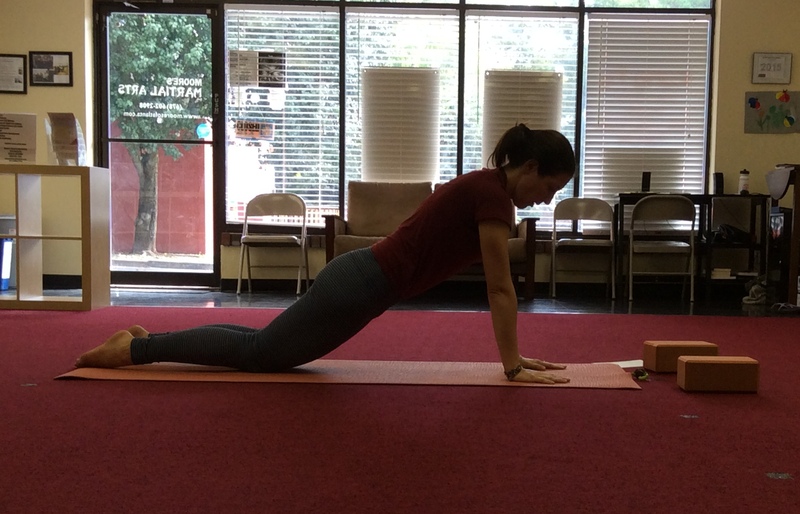 Find your dolphin pose then slowly push forward until your chin is over your hands and return to Dolphin. Sometimes you get photos like these in the mix when your photographer is 6!! 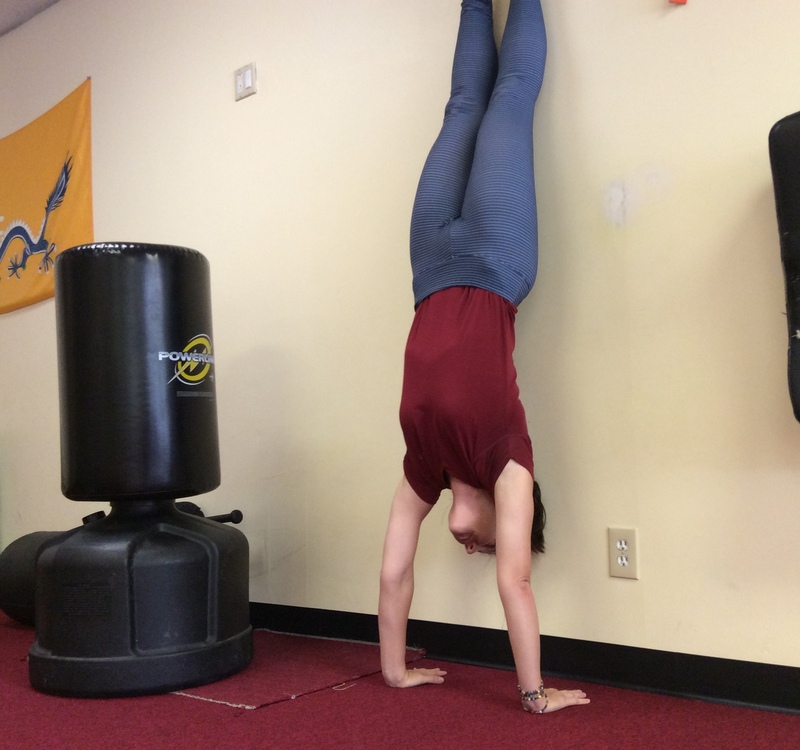 Finally Handstand-at-the-wall holding for a minute once you find proper form. 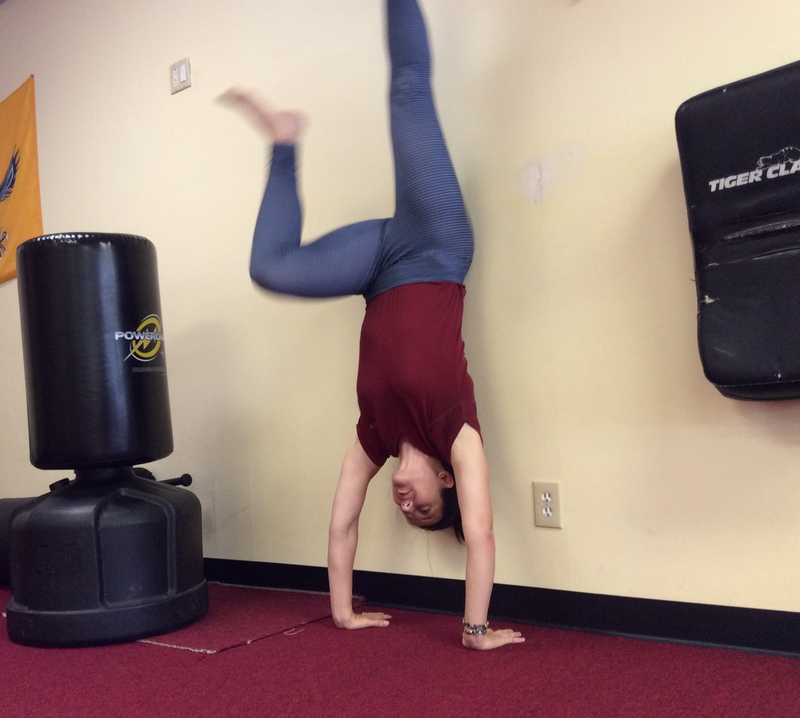 This is where I could totally see how my hips are too far back to be able to do Handstand away from the wall. I need to continue with core strengthening poses along with arm and shoulder strengthening and “that feeling” of Tadasana upside down. Here I got the feet off the wall a bit when I actually got the hips over my shoulders a bit better. Work in process!! 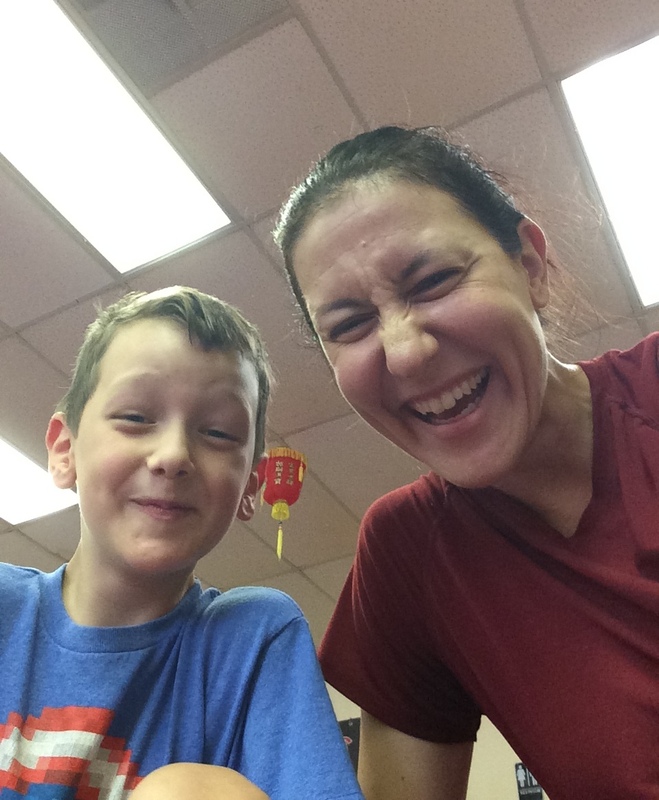 And here is some fun and silliness with my oldest. He was a wonderful photographer and helper and we left the studio that day smiling, giggling, and feeling accomplished. 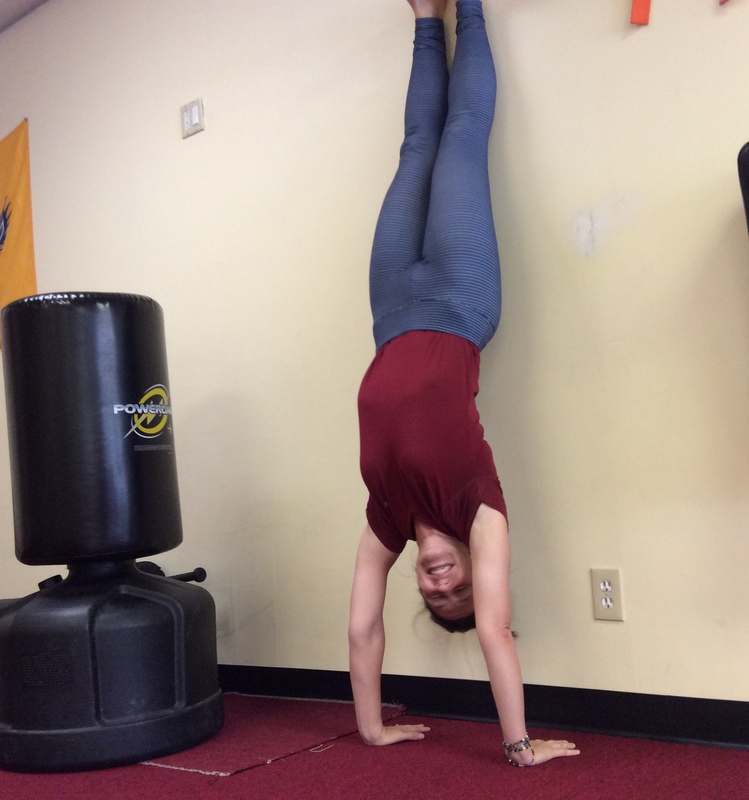 If you have questions about Handstand, the prep exercises, or if you are interested in doing individualized lessons where we can work on things like this shoot me an email at atlasyogasmyrna@gmail.com I’d love to hear from you!